The Signal de Botrange is the highest point in Belgium, located in the High Fens (Hautes Fagnes in French, Hoge Venen in Dutch), at 694 metres (2,277 ft). It is the top of a broad plateau, and a road crosses the summit, passing an adjacent café. 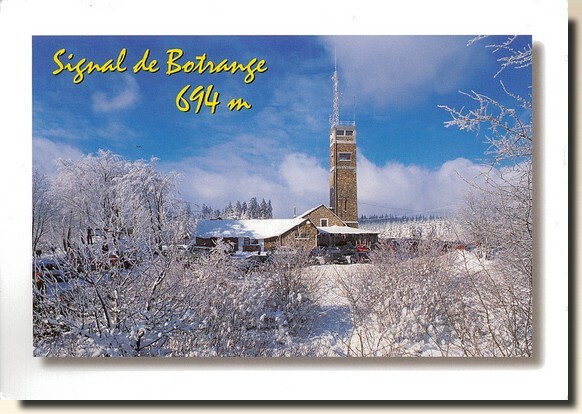 In 1923, the six-metre-high Baltia tower was built on the summit to allow visitors to reach an altitude of 700 m. A stone tower built in 1934 reaches 718 m.